Our Reviving Cleanser is featured in Bergdorf Goodman’s June Beauty Bag. 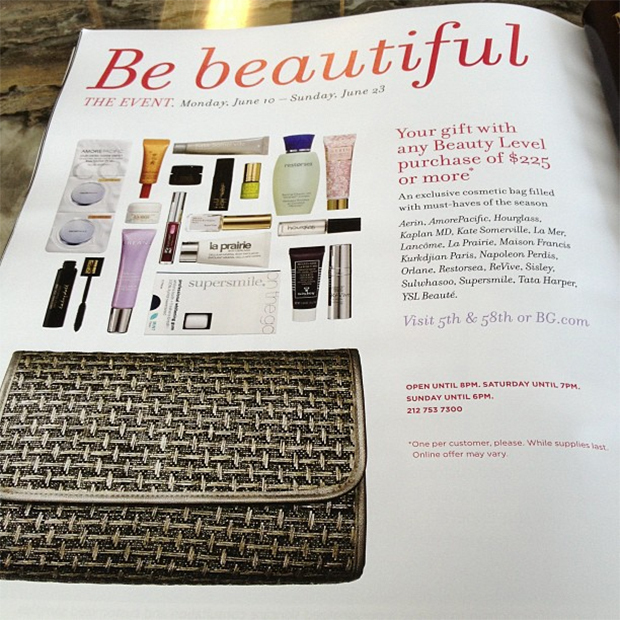 The Be Beautiful Event (happening June 10 – June 23 ) rewards any beauty level purchase of $225 or more with an exclusive cosmetic bag filled with the “must-haves of the season”, and we’re so honored our cleanser was included! So what are you waiting for? Head down to the Beauty Level of Bergdorf Goodman! It’s never been a better time to make a purchase.